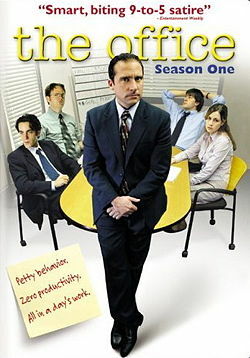 A few months ago when The Office concluded its nine year run, my wife and I felt a sense of loss. Maybe that seems strange, but we have never been married without The Office. Plus, we always suspected the show was about more than a little humor. Jim: “I sold paper at this company for 12 years. my job was to speak to clients on the phone about quantities and types of paper. Even if I didn’t love every minute of it, everything I have I owe to this job—this stupid, wonderful, boring, amazing job. I need that reminder this week. Perhaps you do too. What ordinary things are you facing this week? What beauty do you see in them? Ah, yes, the “Mickey Mouse” stuff! There is no job or extraordinary work that doesn’t have it. At least, I can’t think of one.